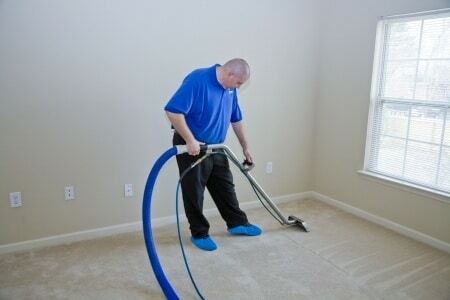 Carpet Cleaning Medford | Rugbusters Cleaning in Medford, OR. Severe water damage can happen because of many factors. Flood, fire extinguisher residue and leaks or breaks from a pipe within your plumbing system are the usual causes of extensive water damage that is in need of restoration. When you rely on Rug Busters in Medford, we promise you immediate action because we know that is what is necessary to get the job done right. In addition to fast service, we offer certified technicians, informed investigation skills, speed drying, deep cleaning and even help with your insurance claim if that is necessary. As a local, licensed & professional carpet cleaning company in the Rogue Valley, you can count on Rugbusters for fast & affordable service. Vacuuming your carpets frequently can only remove so much dirt and usually only removes what is on the top of your carpet, not what gets deep down in the fibers. Since vacuuming only removes a small portion of the dust, dirt, pet waste, mites, insects and other allergens, it is important to get rid of those things with professional carpet cleaning. Call Rugbusters today for a free in-home estimate. With all of the foot traffic your business recieves it is imparative to schedule commercial carpet cleaning services with a company who is as dedicated to your company as you are. Rugbusters is a locally owned & family operated company located in Southern Oregon. We are an IIRC certified company and only use safe, biodegradable, non-toxic, non-irritant chemicals and formulas. This ensures your job is done right, while maintaining the saftey you could on within your commercial property. Call us today for a free no obligation estimate. Rug Busters understands emergency services happen. That is why we are here ready to help you during these stressful situations at anytime. Whether your home or business property is dealing with emergency smoke, fire or water damage needs, or you just need your residentail or commercial property cleaned because of an important visit, you can count on Rug Busters. Your emergency service is our emergency service. So no matter what time or day you are experiencing an emergency, call Rug Busters Cleaning. We are here to help, anytime! Call Rugbusters Carpet Cleaning in Medford Today & Save! Hundreds of thousands of homes have carpets with high concentrations of dust and mite allergen substances dangerous for many allergy and asthma sufferers. Rug Busters Carpet Cleaning uses state of the art equipment for all processes that you can trust for your carpet cleaning, while at the same making sure your family, employees and clients’ well being are taken care of. We only use safe, biodegradable, non-toxic and non-irritant chemicals and formulas (Green Clean Available Upon Request). Your carpets represent investments in value, beauty and design, and they deserve expert maintenance treatment for long-term usage. At Rug Busters in Medford, we only use the best materials with all of our carpet cleaning jobs. We only use state of the art equipment, because we know that lesser machines and store bought or rental machines can result in damage to your carpet that may or may not be fixable. The chemicals and formulas that we use are all safe and biodegradable for both your family and the environment. In addition, they are made of substances that are non-irritants and help repel future dirt and stains from your carpets. Having your carpets professionally cleaned by Rug Busters in Medford has so many benefits for your home, from appearance to safety and health. Maintaining your carpets professionally will even help the value of your carpets, even making it last longer for your home, which saves you money on future carpet replacement. Tile & Grout Cleaning: Normal every day foot traffic, spills and use of improper cleaning products will ultimately result in undesirable looking grout, thus detracting from the look of your entire tile floor. The most attractive tiles will loose their overall appeal if surrounded by dirty or stained grout. Rug Busters will apply a cleaner to the grout in order to begin emulsifying dirt and grime. This is followed by a machine cleaning process that combines scrubbing and vapor steaming your grout. After your floor is machine dried, a clear penetrating sealer is applied to protect the grout from discoloration. 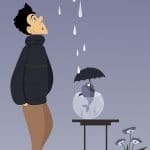 Water Damage Restoration: Water Damage problems have so many causes – so we offer many solutions. You may have water damage from a flood; fire extinguishing; leaks or pipe breaks. Whatever your water damage issue we can help! When you call us our technicians arrive with leading edge equipment to pump out standing water, power vacuum soaked moisture, scrub the air and keep air circulating to speed drying. Our crews prevent mold growth, even on the inside of walls. One of our advanced technologies is an injector system which enables us to send drying air circulating through drywall to remove moisture. Air Duct, Dryer Vent Cleaning: Rug Busters Duct Cleaning is the leading Air Duct cleaning, carpet cleaning, dryer vent cleaning company that services Jackson & Josephine County for residential and commercial properties. With the use of top of the line equipment, which includes high-powered air pressure machines, and powerful vacuums, you can rest assure that you and your family will breathe fresher, cleaner air. Our excellent customer service starts in our office where highly trained representatives will solve all of your concerns and continues to the well-trained technicians with years of experience, who will make sure that you are completely satisfied before they leave. Upholstery Cleaning: Deep cleaning your upholstery can help ensure your furniture looks as good as it can, for as long as it can! 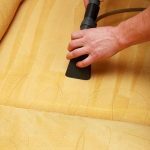 There are several types of fabrics when it comes to upholstery, and each has a special way the cleaning needs to be taken care of. When you call Rug Busters Cleaning we will be able to explain the process involved for your particular piece and a no obligation estimate to make your upholstery cleaning job as easy as possible. We can clean any type of upholstery including the most delicate fabrics.